In this article lets answer a simple question that we get asked a lot, do deer eat hostas? Let’s put it this way, if you put out a big candy buffet to a group of kids would they devour it. Of course they would! Well, that’s what hostas are to deer, sweet sweet candy. So the simple answer is absolutely…deer do eat hostas. And they’ll eat yours if you don’t have a sound strategy to defend and protect them. 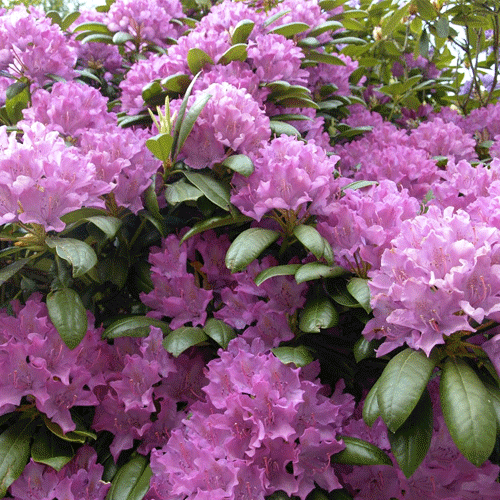 Let’s go over some reliable tactics that you can use to protect those plants. We’ll cover a few options from slow and expensive, to fast and easy ways to help make your hostas deer proof. 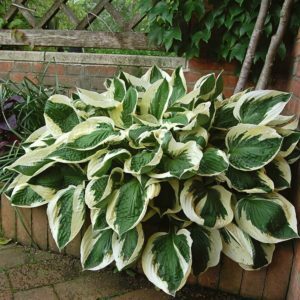 If you need a quick refresher on hostas, also known as plantain lilies (particularly in Britain) and occasionally by the Japanese name giboshi, are widely cultivated as shade-tolerant foliage plants. The flowers are produced on upright scapes that are woody and remain on the plant throughout winter, they are generally taller than the leaf mound. The individual flowers are usually pendulous,2–5 cm in length and have six petals. The produce flowers in white, lavender, or a violet color and are usually scentless. First Question: Do I have a deer problem? You can tell that your hostas have been eaten from deer by taking a look at the leaves. A hungry deer will eat the plant by tearing the leaves away from stems. The stem will be left intact and remain, so you end up with a hosta that looks like spiky celery stalks poking up out of a hosta mound. You can also spot deer activity by looking for tracks. Do you see any hoof prints embedded into the soil? Here’s a quick photo of what a deer tracks look like —they look like an upside down heart. If you have mulch or if the soil is moist a deer’s hoof will sink and leave an imprint that looks a little bit like a deep cylindrical hole. Or you may find some piles of deer droppings, which resemble small black pebbles, which is another clear sign of deer activity. If you’ve noticed these telltale signs, then you can bet that your plants are in danger of being eaten. But even if you don’t find these clues, it doesn’t mean you are out of the woods. 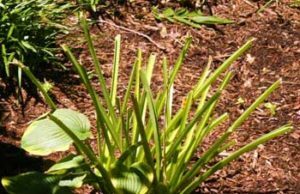 Are there any deer resistant hostas? 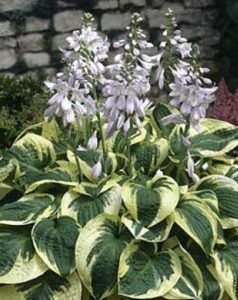 We get asked a lot if a homeowner can just buy hostas that are deer resistant. Well, you can certainly buy some products that say they are deer resistant hostas. We’ve seen more and more of these claims pop up, but buyer beware…we have rarely come across a hosta that you can plant and then rest easy that no hungry deer will come along and devour it. No hostas are 100% safe from deer, the only thing to stop them is with a sound plan and your intentional intervention to prevent deer from eating them. So let’s go over those options. To protect your hostas or any plants from deer, you need to understand how deer behave. This will allow you to create a deer prevention plan to counter it. Deer by nature are very skittish. They are easily alarmed when things are different than normal. This is one of the natural defense mechanisms that keep them safe from predators. When things are abnormal deer will become alarmed and can quickly spring (literally, they can jump as high as 12 feet into the air when startled) and they’ll flee. They can cover large distances quickly to escape. Deer are also frightened by predators, like wolves or even your own family dog. So pets can help, but they aren’t on guard 24/7. And it doesn’t take long to turn your plants into a deer buffet. The sure way to keep deer from eating your hosta plants is to surround them in fencing so that deer are literally unable to get near them. But to achieve this you need a fence height of at least 8 feet, and in some areas, this still won’t be high enough. It depends what kind of deer inhabit your area and how high they can jump. This option can be extremely expensive and isn’t attractive or practical. Some gardeners and homeowners try an electric fence and hope that will deter the hungry deer. But with electric fences can’t tell a deer from a neighbor or a pet and this isn’t practical or appropriate for most homes. The most practical solution is to use a deer deterrent spray. A spray is a fast and easy way to exploit a deer’s naturally skittish nature. Deer deterrents are made of ingredients that make a deer uncomfortable. Many homeowners will use a DIY formula but why deal with all the hassle, cost, and uncertainty that a DIY deer repellent can bring. 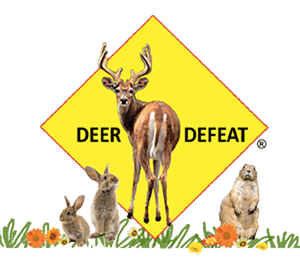 We recommend a proven formula that you can use with an assurance that not only does it work, but it’s perfectly safe for pets and people…Deer Defeat! 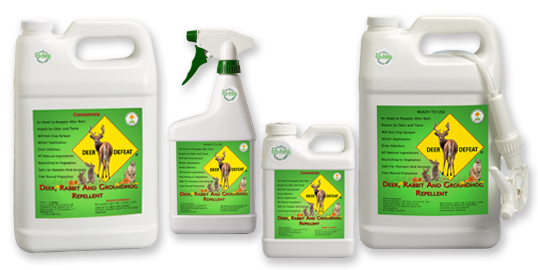 Deer Defeat is an all natural deer detergent, and it works! It’s extremely easy to use and it does not have to be reapplied after a rain! Not having to reapply will save you a ton of time and money, and most importantly it saves your hostas. So by now, you’re able to answer the question of Do Deer Eat Hostas. Yes, they love them. But you also now have the information and tools to save your plants. Let us know if your hostas have a deer problem, we would love to hear your story and help.